McMaster was so inspirational to me,” says Kevin Lockhart (seated, far right). “It allowed me to become who I am.” He visited campus on October 7 with his family to celebrate his $300,000 gift, which will fund two scholarships for the new Integrated Business and Humanities program. 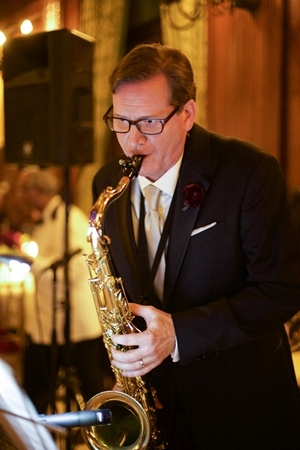 How does a gifted saxophonist become a successful Wall Street investment banker? For McMaster Humanities alumnus Kevin Lockhart, it wasn’t as big a leap as you might think. Humanities grads often do well in business, Lockhart says, because they know how to communicate and build relationships. He credits three skills for catapulting his own career – the ability to present well, to write well, and to handle stress under pressure. Lockhart was already honing these skills from a young age. Growing up in southwestern Ontario, he played the piano, sang in the St. Paul’s Cathedral Boys Choir, and “dove into theatre.” In Grade 9, his mother encouraged him to continue developing his musical gifts, so he chose the saxophone and soon joined the Ontario Youth Orchestra and Jazz Band. That led him to McMaster, where he majored in music. While at Mac, he not only made beautiful music, he also sharpened his business skills. As vice-president of the McMaster Students Union, he managed a budget in the millions and a workforce in the hundreds. He served as vice-chair of the Ontario Federation of Students, further honing his people skills. “McMaster was so inspirational to me,” says Lockhart. “It’s a place that empowers students. It allowed me to become who I am.” He and his siblings were the first in their family to go to university. Lockhart is putting his money where his mouth is. 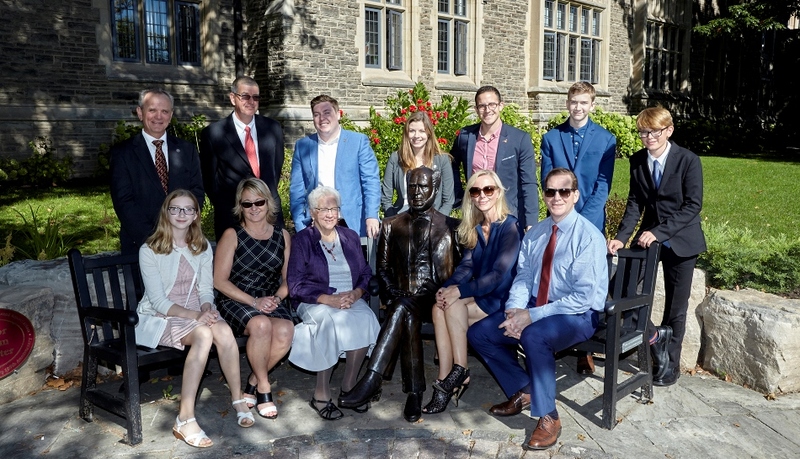 His $300,000 donation will establish the Kevin A. Lockhart Family Scholarship Fund, which will provide two scholarships of $5,000 each for students entering McMaster’s new Integrated Business and Humanities (IBH) program. Lockhart began his career at TD Bank, and then completed an MBA at Harvard, thanks in part to a well-written reference letter from McMaster president emeritus Alvin Lee, who had remembered Lockhart’s work as a student leader. Lockhart’s career took him to New York in the 1990s. He has held senior roles at Morgan Stanley, Goldman Sachs, Jefferies & Company, and BMO Capital Markets, where he is currently Head of Leveraged Finance Origination. McMaster was so inspirational to me. It’s a place that empowers students. It allowed me to become who I am. Lockhart encourages students to take “both paths in life.” Learn the technical skills you need to make a living, but stay connected to your passions, talents, and interests. The DeGroote School of Business conceived the idea of an integrated honours degree in 2013, and then partnered with the Faculty of Humanities to develop the undergraduate program. Lockhart will celebrate his 30th reunion in 2017, when the IBH program is launched. “That was a complete coincidence,” he quips.